Health bosses are asking for views on a name for the new NHS Trust that will be formed later this year. 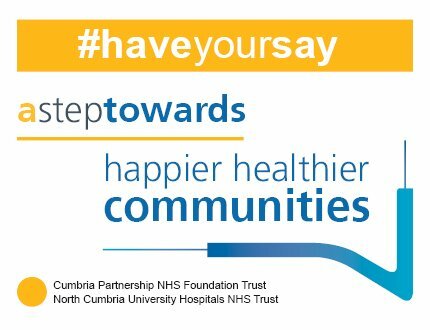 Cumbria Partnership NHS Foundation Trust (CPFT) and North Cumbria University Hospitals NHS Trust (NCUH) plan to merge to form one organisation by October 2019 in a move designed to enable more seamless patient care. NCUH delivers services from the West Cumberland Hospital, Whitehaven and Cumberland Infirmary, Carlisle. CPFT currently delivers community services in north Cumbria and children and families, mental health and specialist services across the county. Plans to merge the two organisations coincide with plans to transfer countywide mental health and learning disability services to other providers. The NHS has become one of the most cherished, trusted and powerful brands and as such there are clear guidelines for naming NHS organisations. The guidelines state the name must be clear, logical and descriptive, start with a geographic reference and end with the organisational descriptor, NHS Foundation Trust. Addition of the words ‘teaching’, ‘university’ or ‘integrated’ can also be considered. A list of potential names was developed with the trust’s governors who helped to create a shortlist. These options were shared towards the end of March at the start of a six week engagement period to gather views on the merger. Staff, partner organisations and the public have all been asked to choose their favourite and more than 500 people responded in the first two days alone. The suggestions have divided opinions, with some positive about them, others against them and some suggesting their own alternatives. The trusts will continue to seek views on the new name throughout the engagement period. You can share your thoughts on your favourite, or an alternative, by completing the survey or look out for polls on social media this week.